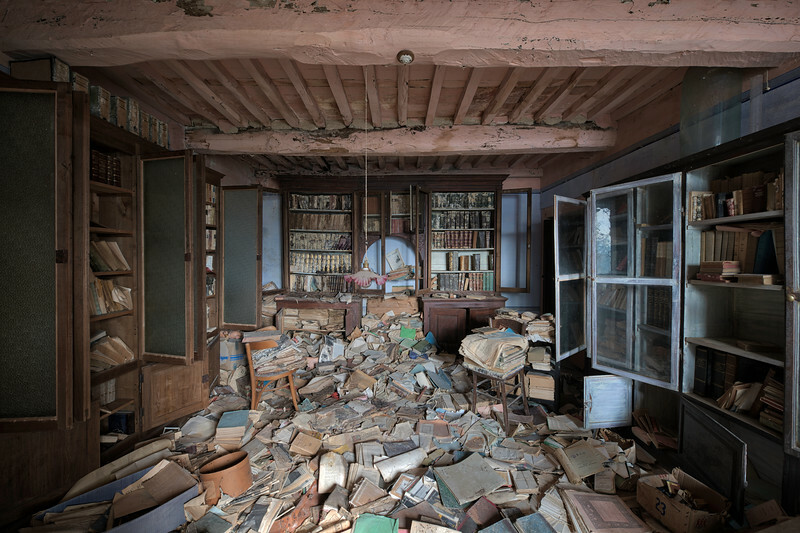 The Library - This wide open villa has rooms stuffed with packed boxes, untouched for years. Several floors not worth a shot. Until I entered this room. Probably once used as a library. Cabinets filled with old and very old books, mouldy and damp. The floor was littered with dozens of books thrown from the cabinet, probably from looters looking for any valuables.